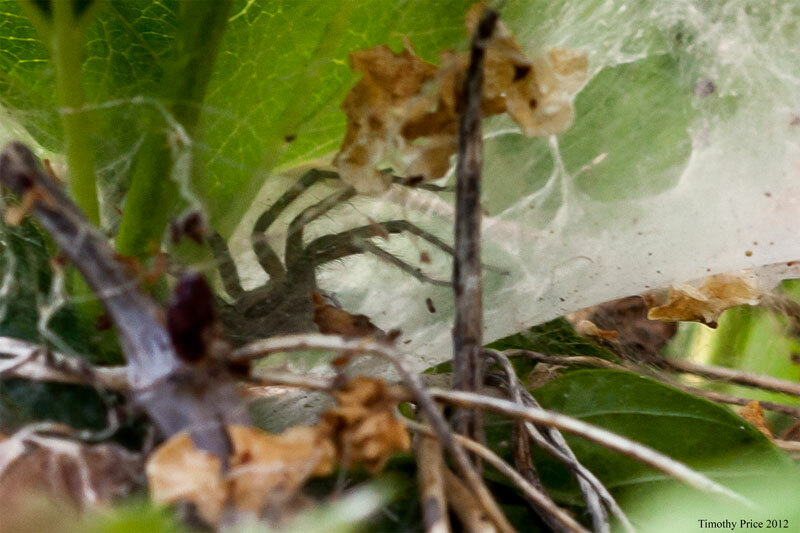 When I first saw this spider waiting in its den, it was much farther out in the opening, in full view, but when I shook the bush trying to get my camera into position, it retreated into it’s tunnel, out of sight of my lens. 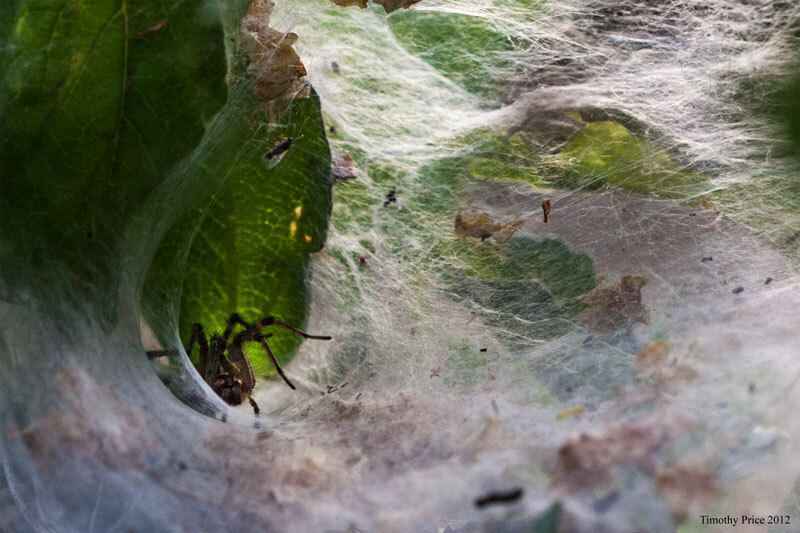 I stood patiently in the same spot, and after some time it slowly crept forward, showing one leg, then another leg until in finally peaked around the corner of its web, settled in, and just looked at me. After snapping a few shots of our stand-off of sorts, I snuck around to the other side of the bush where I could see the spider’s profile from the low sun lighting up the inside of its web from behind the spider.